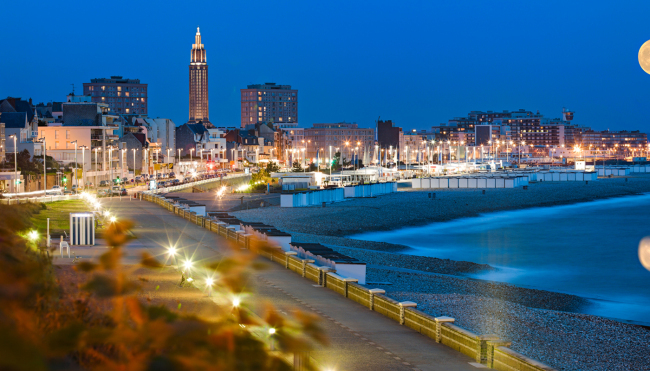 With France’s largest container harbor, a picturesque beach promenade, world-class amenities and bucolic scenery that formed the backdrops of impressionist paintings, Le Havre has all the ingredients for a hedonistic seaside life. The city is located on the bank of the Seine Estuary in the Normandy region of northwestern France. In recent years, it has been an apposite recipient of decentralization from Paris, a move intended to strengthen the city’s global competitiveness and its democratic governance. 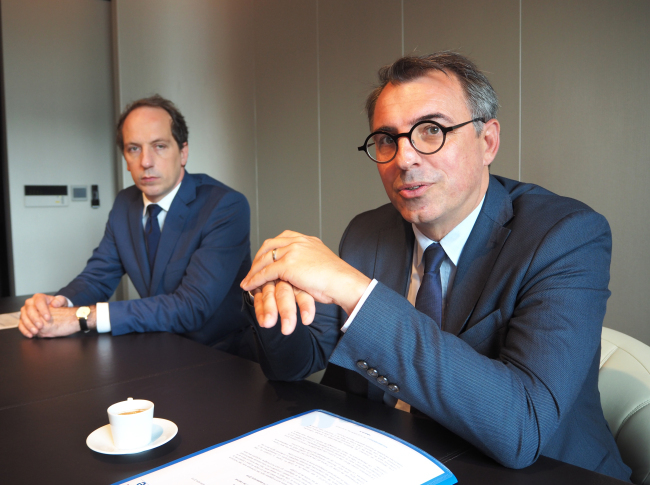 Le Havre, meaning “The Harbor,” is ripe for investment in shipping and logistics, among other sectors, said Mayor Luc Lemonnier in an exclusive interview with The Korea Herald last week. “The bulk of our economic activities, comprising about one-third of all employment, occurs around our port, which is the biggest in France and fifth in Europe pertaining to large container carriers. 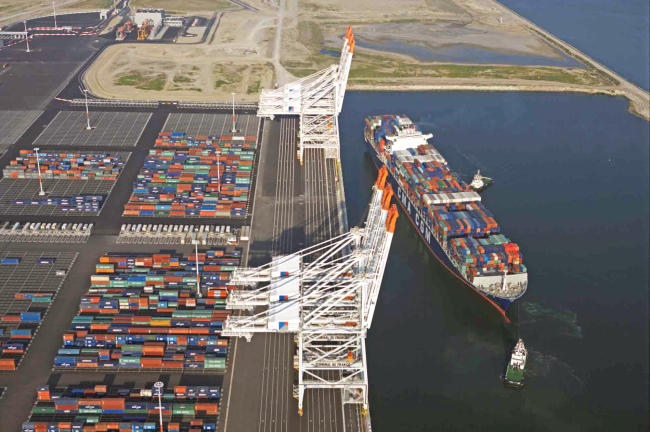 So businesses and investments related to the port are very important to us,” Lemonnier said. Lemonnier came on his first official visit to Korea with a delegation of businesspeople, tourism professionals and educators. He met with Incheon Mayor Park Nam-choon and other officials and visited the Seoul Startup Hub. The port of Le Havre is the second-largest seaport in France in terms of trade volume, behind that of Marseille, and 50th largest in the world. Its major industries are shipping and logistics, petrochemicals, oil and gas, aeronautics, wind turbine production and thermal power. Major services include shipping and logistics, maritime insurance, digital innovation, design, tourism and education. In 2005, Le Havre’s central city was recognized as a UNESCO World Heritage Site. 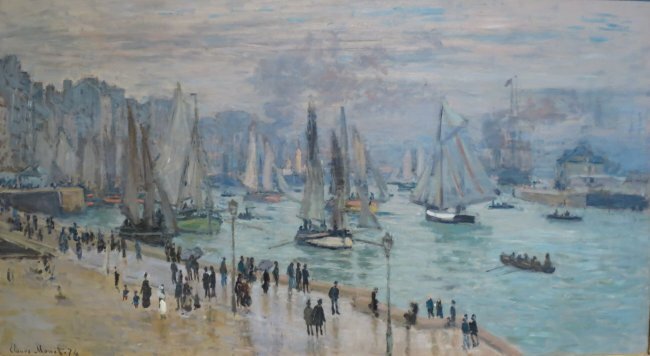 The Andre Malraux Modern Art Museum has the second-largest number of impressionist paintings in France. French Ambassador Fabien Penone said Lemonnier’s visit is part of increasing city-to-city cooperation between France and Korea. According to the French Embassy in Seoul, Le Havre and Incheon formed a partnership in 1977. This opened the way for the increased flow of maritime transport and for more official exchanges between the two cities. Le Havre played an instrumental role in helping design Incheon’s cruise terminal, and Incheon officials visited the French city to study its sustainable business practices. In education, many schools in Le Havre -- including the University of Le Havre, with its Ecole de Management de Normandie and Grande Ecole Sciences Po, and Ecole Superieure d’Art et Design Le Havre-Rouen, as well as secondary and vocational schools Lycee Saint-Joseph and Lycee Le Cesne -- have maintained numerous agreements and exchange programs with Korean partners for more than 30 years. The mayor and ambassador highlighted France’s decentralization efforts since 1982 with the enactment of the Gaston Defferre Laws, which devolved various powers to local governments comprising regions, departments and communes. Prior to 1982, French municipalities and departments enjoyed limited autonomy under laws passed in the late 19th century. As a result of their new powers, many cities and regions are turning their eyes abroad for partnerships, Lemonnier stressed, pointing to the economically dynamic Asia, historically intertwined Africa and resource-rich Middle East. Korea started implementing true local self-governance in 1995 and has seen a number of pros and cons, largely due to the entrenched legacy of centralized governance going back centuries. The envoy said vitalizing local regions is critical for both France and Korea, as both nations were largely centralized historically. “I receive a lot of questions about France’s decentralization experience when I meet Korean mayors and politicians,” Penone said.